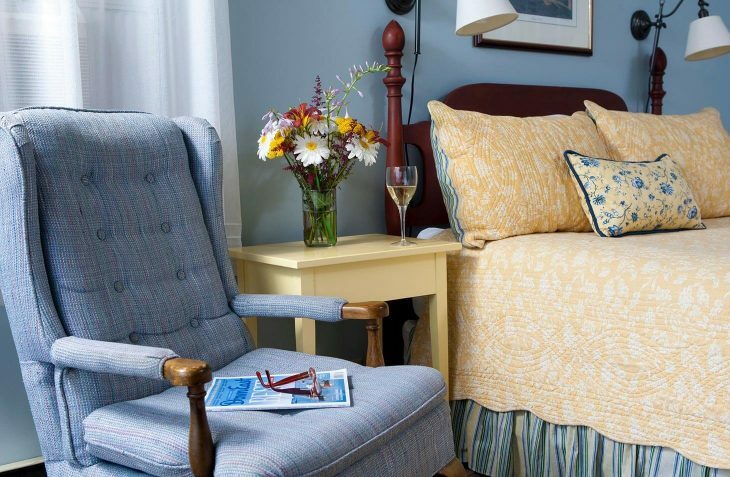 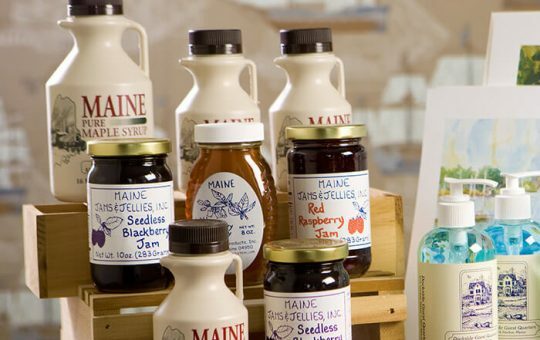 Comfort and relaxation await you in this bright and cheery room at our B&B in York, Maine. 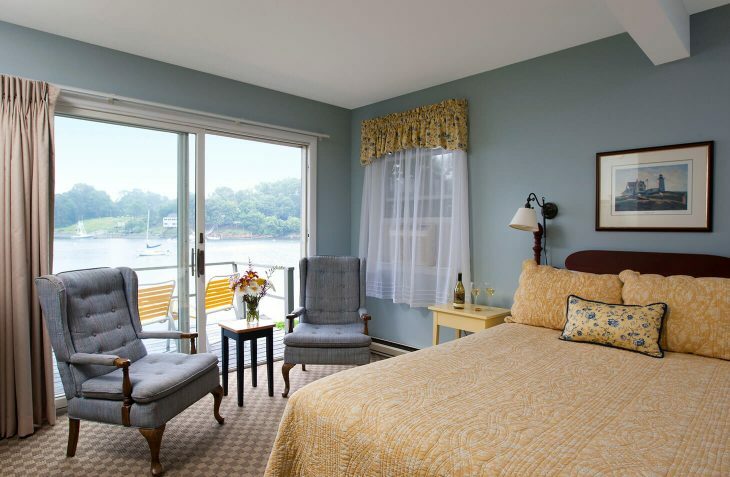 On the first floor of the Crow’s Nest building, this room offers space for three with a queen bed plus an alcove with a twin, and a private bathroom. 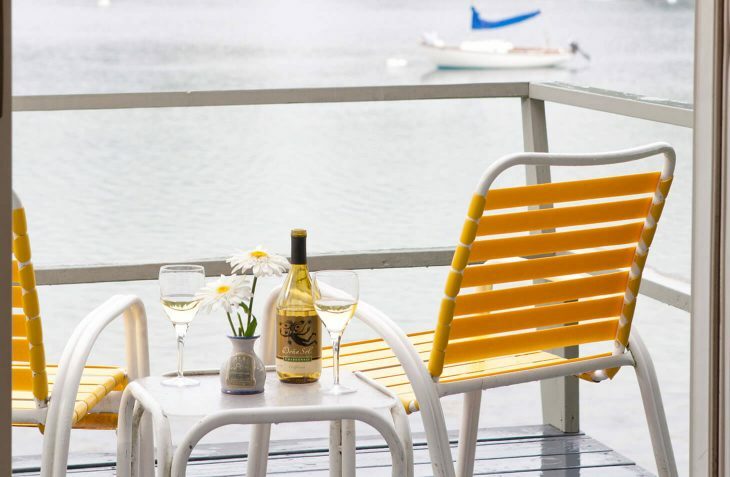 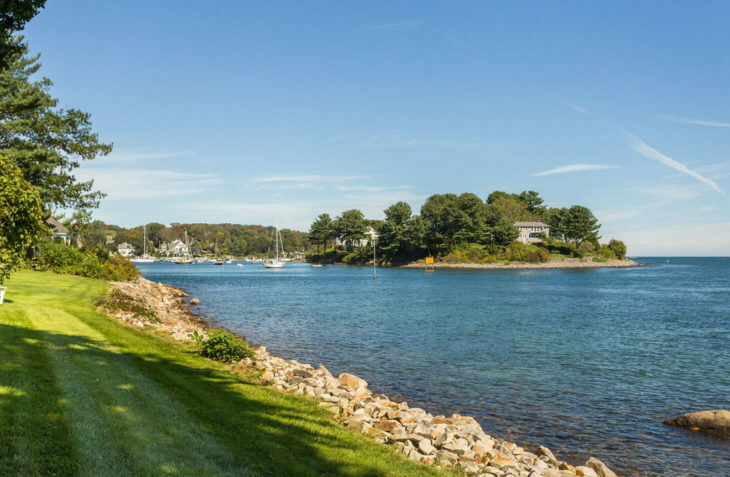 Sit on your private deck, enjoying a glass of wine, while you take in the water view.